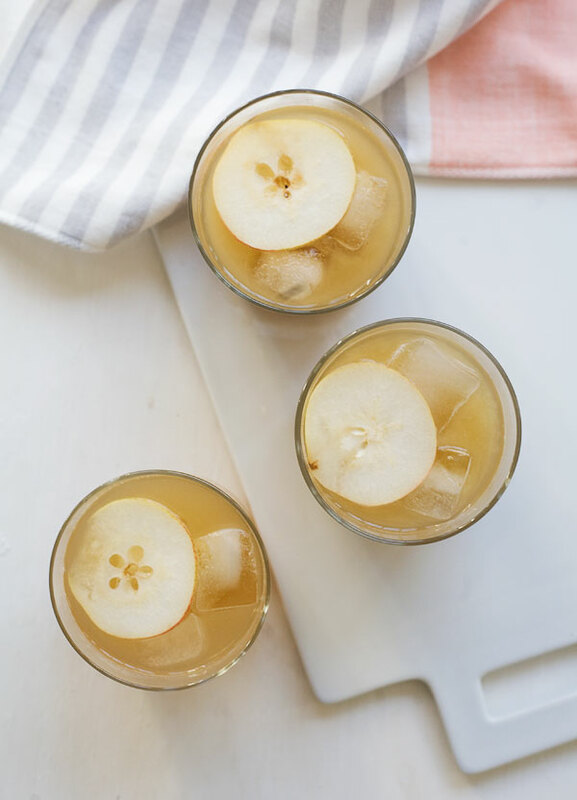 This cocktail is drink full of fall flavors. 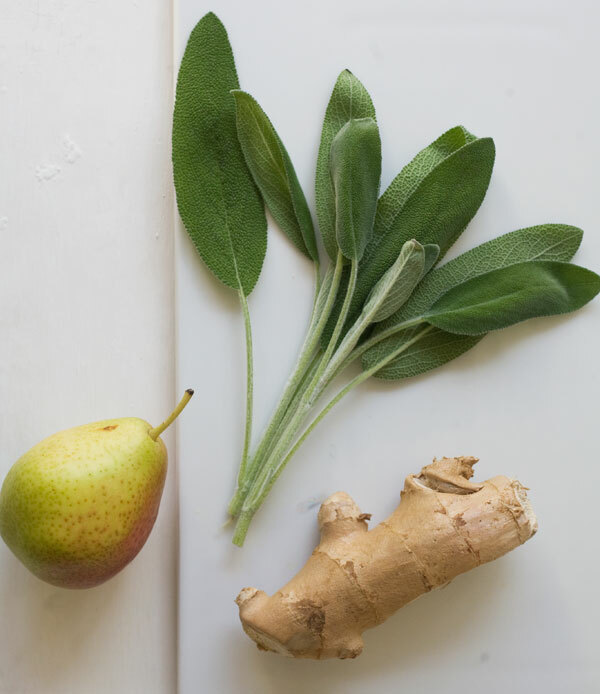 The ginger and sage simple syrup tastes so good with the pear nectar. It’s refreshing. It’s a quench-thirster. And it’ll fit perfectly into your casual weekend plans. Can I be honest? I’m happy to see Halloween gone and Thanksgiving on the horizon. Excited ain’t the word. Also, let’s toast to me having a job now that’s a million times better than what my 18 year old-self had. To a small saucepan, combine the sugar and water. Heat over medium-low until sugar has dissolved. Add the sage leaves and ginger and cook for an additional 5 minutes. Turn off the heat and allow the sage and ginger to steep for 15-20 minutes. Strain, discarding the sage and ginger; set aside. To assemble a cocktail, fill a glass with ice. 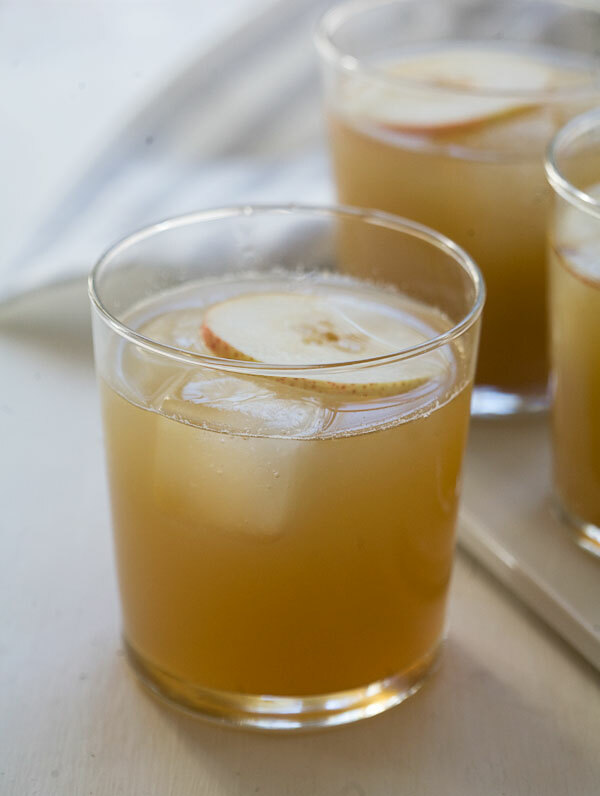 Pour in 1 ounce of the sage-ginger simple syrup (2 tablespoons), 2 fluid ounces vodka, 5 ounces pear nectar. 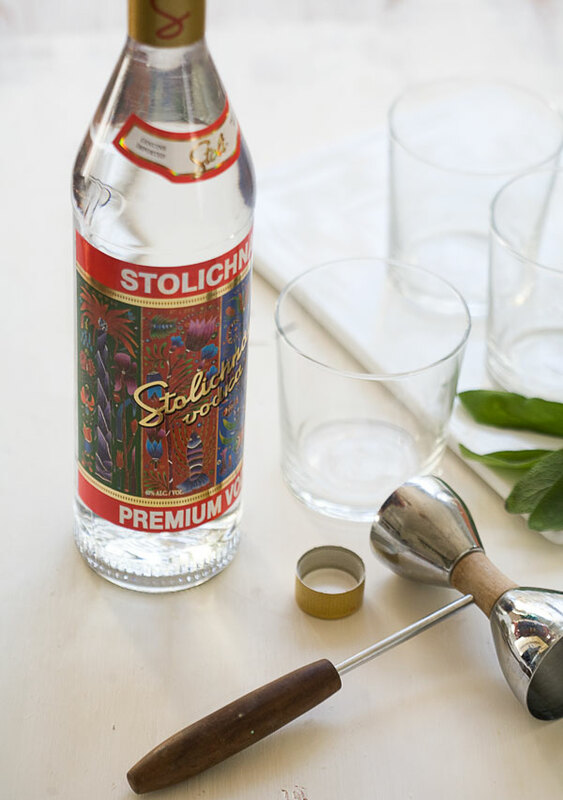 Stir and adjust alcohol to your taste. Garnish with a slice of small pear. Repeat the drink-making process until you've made all four. Serve immediately. cheers to that, definitely! great cocktai. Cheers to you having this be your job–and this incredible cocktail. I haven’t had any awful (trust me, I’m thankful for that) jobs, but I’ve definitely had a handful that I’ve gotten sick of after a while. Great cocktail and cheers to you having this awesome job of sharing those awesome recipes with us all the time. My best job happens in the kitchen too. ^_^ CHEERS! THIS drink. I want! Maybe just perfect for my dinner party next week? Did you find good success with your ginger flavors in this syrup? The last time I tried to make ginger simple-syrup, I thought the ginger flavor was quite weak. I tweaked it but didn’t have much luck. It was mixed with apricot so maybe the apricot was just too strong of a flavor? You are wonderful at THIS job! This looks fantastic; I have some sad pears giving me the side-eye from my fruit bowl, so this shall be their destiny! I held my worst job during the summer between high school and college. I was naïve and STUPID and worked at a tanning salon. I regret this so much and wish I could tell 18 year old Stacey that tanning is awful and deadly. I hate that not only did I get in those stupid beds, but that I put people in them as well. Barf. Cheers to better jobs! This cocktail is right up my alley. I just made an apple spiced champagne cocktail and now I’m looking for my next drink. This just may be it! yum. ooooh i’ve had some horrible jobs before. telemarketing is not for everyone. What a lovely cocktail…I will be trying this very soon! Those might the be world’s most perfect glasses. Who makes them? Where are they from? I got ’em at West Elm. Here they are! At the store you can buy them individually–only $2 a glass! My worst job would have had to have been when I worked at a river cruise company full time for a little over 6 months. The bosses were insane. I was asked whether using paper receipt roll from the booth next to ours on OUR eftpos machine meant that the other booth got our money. I was also told that there were suspicions that the booth on the opposite side was stealing our phone calls because our phone would ring once and stop. Love this flavor combo and can’t wait to try it out! Perfectly warming for rainy days like today! Love I will make it ! Taking this drink with me to Thanksgiving at my in-laws. Everyone is going to love it! this may seem silly, but where do I pick up some pear nectar? Thanks!